July 30, 2011  Clyde Edgerton's new novel, The Night Train, tells the story of two boys whose friendship is concealed due to a culture of racial segregation in the 1960s. Edgerton harkens back to his own childhood in North Carolina — the days when friendship between black and white children was culturally unacceptable — and asks what has changed in the past 50 years. July 29, 2011  The Barbershop guys weigh in on the widening wealth gap between whites and people of color, President Obama's speech to the National Council of La Raza, and the big trades that have recently happened through the NFL. Host Michel Martin hears from author Jimi Izrael, civil rights attorney Arsalan Iftikhar, syndicated columnist Ruben Navarrette and foreign policy analyst Mario Loyola. 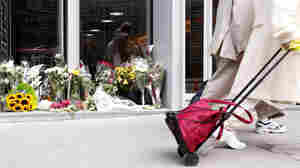 July 28, 2011  Host Michel Martin continues her conversation about Europe's multiculturalism amid the deadly attacks in Norway, which Anders Behring Breivik has acknowledged committing. 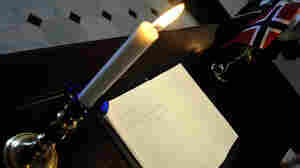 Martin hears from Paris-born journalist Nabila Ramdani and Eleanor Beardsley, an NPR Correspondent based in Paris. Bombs In Norway Breaking Down Multiculturalism? July 28, 2011  The confessed Norway attacker Anders Behring Breivik says he intended to send a "wake up call" to Europe, which he sees as being taken over by Muslims. The attacks are raising tensions about immigration and multiculturalism in Europe. Host Michel Martin explores this issue with an NPR correspondent based in Paris and the author of several books about Islam in Paris. July 27, 2011  After the Sept. 11 attacks, author Michael Levy joined the Peace Corps. 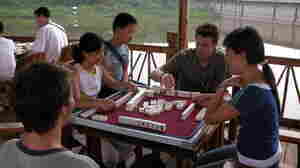 He was sent to China's poorest province, where he struggled to keep kosher and discovered that locals view religion and patriotism in ways many Americans do not expect. Levy discusses his experience with host Michel Martin. 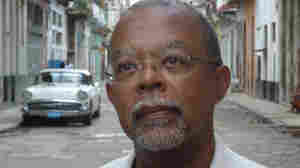 July 27, 2011  Historian Henry Louis Gates Jr. looks at the cultural legacy of African slaves brought to Latin America. July 26, 2011  President Obama's approval rating among Latinos has plunged since his inauguration, says a recent Gallup poll. 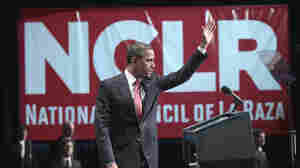 Yesterday, Obama spoke to the U.S.' largest Latino civil rights group. To learn about Latinos' priorities and political strategies of getting them addressed, host Michel Martin speaks with the National Council of La Raza's Janet Murguia. In America, A Jobless Recovery? 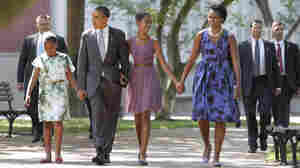 July 26, 2011  As African-Americans continue struggling with unemployment, President Obama and leaders of two of America's largest civil rights groups recently discussed how to get minorities back to work. Host Michel Martin speaks with the NAACP's Ben Jealous and the National Urban League's Marc Morial about what more the U.S. should do to spur job growth. 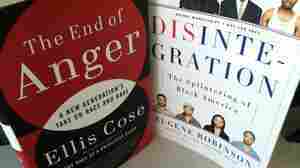 July 25, 2011  Two books examine the current black experience in the U.S. Former Newsweek columnist Ellis Cose finds younger African-Americans more optimistic than past generations, while Washington Post columnist Eugene Robinson observes the "splintering" of black America. Both speak with host Michel Martin. 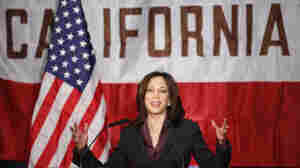 July 25, 2011  Kamala Harris made history in 2010 as the first woman, first African-American and first South Asian-American to become Calif.'s Attorney General. Host Michel Martin speaks with Harris about the difference between being tough vs. smart on crime; ideas on reforming the criminal justice system; and Harris' address at the NAACP's upcoming convention. July 25, 2011  On Monday, President Obama addresses the National Council of La Raza, the largest Hispanic advocacy group in the country. 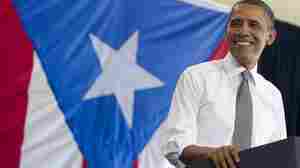 It's part of the president's intense push to reach out for the Latino vote. 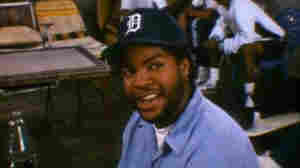 July 22, 2011  Author Jimi Izrael reflects on the film "Boys N The Hood" two decades after it was released. July 22, 2011  Host Michel Martin continues her conversation with President Barack Obama. He comments on the criticism his wife received for ordering a high-calorie meal, and shares his feelings about turning 50. 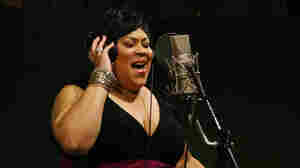 July 21, 2011  As part of the duo The Weather Girls, Martha Wash gained fame with the smash hit "It's Raining Men." Here, Wash talks about her new music, overcoming injustice as she rose in the music industry, and perceptions of physical appearance versus talent. July 21, 2011  Mariah Stackhouse, 17, is the youngest African-American to qualify for a U.S. Women's Open, and was the only black qualifier in the 2011 tournament that ended in early July. 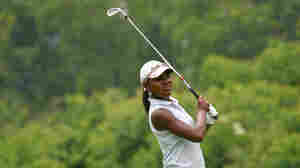 She tells Michel Martin about how her golf career has grown.